Boaz Dvir teaches writing and production in the journalism and film departments. An award-winning filmmaker, Dvir is the writer, director and producer of "Jessie’s Dad," which captures Mark Lunsford’s transformation from an uneducated truck driver to a savvy child-protection activist; "Discovering Gloria," which paints the portrait of an average inner-city schoolteacher who becomes a trailblazing innovator and a national model; and "A Wing and a Prayer," which tells the virtually unknown story of World War II aviators who launched a secret, illegal operation in 1948 to prevent a second Holocaust. 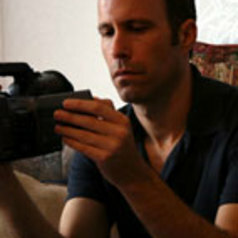 Dvir has taught writing, storytelling and documentary filmmaking at the University of Florida. He has written for many publications, including Newsday, the South Florida Sun-Sentinel, the Tampa Bay Times, The Miami Herald, the Jerusalem Post, Scripps Howard’s Treasure Coast Newspapers, the Times of Israel and Explore magazine. Dvir served as editor of the Jacksonville Business Journal and managing editor of the South Florida Business Journal, which are part of Newhouse’s American City Business Journals. For several years, he appeared on “Week in Review” and wrote commentaries for WJCT, Jacksonville’s NPR/PBS station. Dvir has won six Florida Magazine Association awards, including first place for his communigator column. He also won numerous awards from the Florida Press Association, including first place for his Business Journal column. Dvir received a Lilly Endowment grant from the Religion News Service to research spiritual aspects of the Holocaust. He served as an officer and a military journalist in the Israel Defense Forces, where he gathered vital information during 1991 Gulf War, providing material to foreign correspondents, James Baker’s office and Benjamin Netanyahu.